Shahnaz is a Senior Teaching Fellow in Strategy and Innovation within Southampton Business School at the University of Southampton. She is also Programme Leader for MSc Business Strategy and Innovation Management. Shahnaz holds a doctoral degree from the University of Southampton, Southampton Business School for her research on Corporate social responsibility (CSR) and sustainability in entrepreneurial firms in developing countries. Her thesis focused on social responsibility and sustainability strategies of entrepreneurial firms and SMEs in developing countries. She earned her Master’s degree from George Mason University, Virginia, USA in 2007, with Market and Business development concentration. She earned her BSc degree from Assiut University, Assiut, Egypt in 1999, majoring in Business Administration. She got appointed as a Lecturer assistant at the same University. 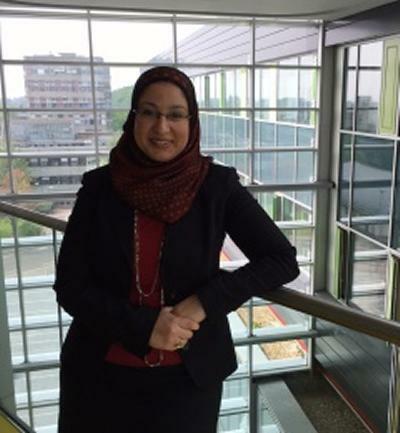 While pursuing her PhD degree, Shahnaz worked as the Project Coordinator and Research Fellow for the Interreg-cross channel EU funded project on university-industry collaboration, entrepreneurship and CSR at the University of Southampton (2010-2014). This project ( involved strategic partnership between UK and French universities, with a total budget of €500,000. Shahnaz was the postgraduate student representative of the Faculty of Business and Law, Equality and Diversity Advisory Group. The group worked towards ensuring integration and mainstreaming of the University equality and diversity agenda throughout the Faculty. Her role involved monitoring and evaluating within the faculty, progress on the University’s various equality plans as required by legislation. Currently, Shahnaz is team member of the project entitled ‘Sustainable entrepreneurship in agro-eco tourism industry in the context of Turkey’, which is funded by the Newton Institutional Links scheme of British Council. It is a two-year project (2016-2018) with a budget of £50,000. More specifically, the project will generate insights into sustainable entrepreneurship strategies of SMEs in this particular industry sector, with an objective to create knowledge exchange between industry, government organisations and universities. As a result of the project, an impact case study will be constructed. Sustainability, Corporate Social Responsibility, Entrpreneurship, Social Innovation. Institutional and multi-layered dynamics of Corporate Social Responsibility (CSR) with particular focus on developing and emerging economies. Development of Entrepreneurial ecosystems and triple-helix relationships between industry, university and government. Shahnaz employs qualitative research methodologies in her research. She is currently welcoming PhD candidates in these areas. She presents papers discussing a range of issues related to her area of research in several prestigious conferences in and outside the UK, namely British Academy of Management (BAM), conference Institute for Small Business and Entrepreneurship (ISBE) Conference, 2011, European Academy of Management (EURAM) and EGOS. Currently supervising UG and PG students in the areas of corporate social responsibility (CSR), entrepreneurship, social entrepreneurship, sustainable entrepreneurship, social innovation. Regular reviewer of the leading business and management journals such as European management review and journal of business ethics and Business ethics: A European review. Ibrahim, S., Jamali, D., & Karatas-Ozkan, M. (2015). Egypt. In W. Visser (Ed. ), The World Guide to Sustainable Enterprise: A country-by-country analysis of responsible business and social entrepreneurship Saltaire, UK: Greenleaf Publishing. Ibrahim, S. (2014). Creating social capital for SMEs: a CSR approach to HRM practices. In M. Karatas-Ozkan, K. Nicolopoulou, & M. F. Ozbilgin (Eds. ), Corporate Social Responsibility and Human Resource Management. A Diversity Perspective Edward Elgar Publishing. Ibrahim, S., & Jamali, D. (2013). Social responsible SMEs in emerging economies: a social capital perspective. Paper presented at EURAM conference, European Academy of Management, . Ibrahim, S., Jamali, D., & Karatas-Ozkan, M. (2013). Theorising social embeddedness of CSR in emerging markets. Paper presented at EGOS conference, European Group for Organizational Studies, Canada. Ibrahim, S., & Karatas-Ozkan, M. (2012). Communicating sustainability: a small and medium–sized enterprise perspective. Paper presented at EURAM conference, European Academy of Management, Netherlands. Ibrahim, S., & Karatas-Ozkan, M. (2012). CSR in SMEs: an institutional perspective in developing countries. Paper presented at 2nd International Conference in Entrepreneurship, Innovation and SMEs, United Kingdom. Ibrahim, S., & Karatas-Ozkan, M. (2011). A model for communicating CSR in developing countries SMEs. Paper presented at The impact of Sustainable Development on Marketing and Communication practice, Morocco. Ibrahim, S., & Karatas-Ozkan, M. (2011). Corporate social responsibility in SMEs, a social capital perspective. Paper presented at ISBE Conference, Institute for Small Business and Entrepreneurship, United Kingdom. Ibrahim, S., & Karatas-Ozkan, M. (2011). Promoting Corporate Social Responsibility (CSR) to Small and Medium-Sized Enterprises (SMEs): a critical review of the literature and future research agenda. Paper presented at BAM conference, British Academy of Management, United Kingdom. Ibrahim, S., & Karatas-Ozkan, M. (2011). Strategic CSR: an opportunity for competitive advantage for social enterprises in developing countries. Paper presented at 1st International Conference in Entrepreneurship, Innovation and SMEs, France. Ibrahim, S., & Karatas-Ozkan, M. (2010). Communicating corporate sustainability in developing countries. Paper presented at SMEs Moving toward Sustainable Development, International conference by the Network for Business Sustainability, Canada.